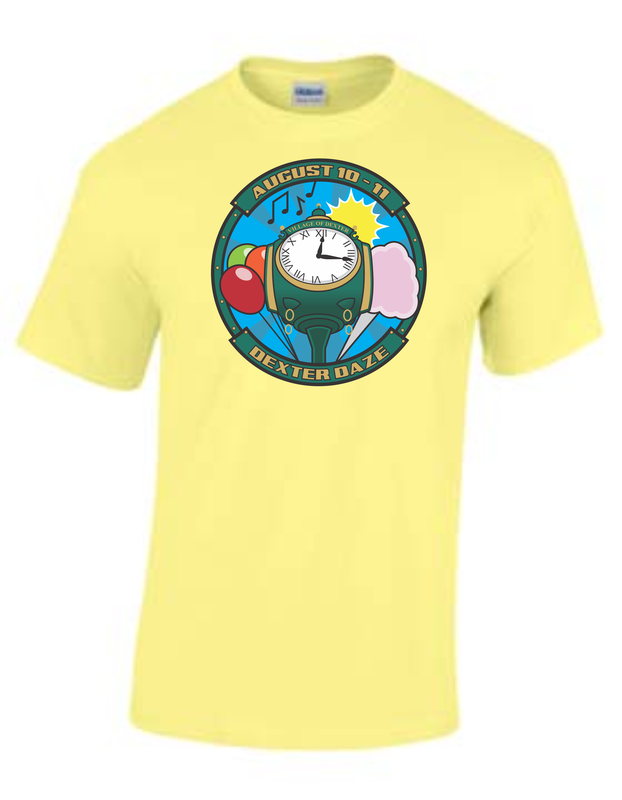 Thank you for designing this years Dexter Daze Tee! Orders for Dexter Daze Tee's can be picked up on Friday night at Summer Series August 3rd or at the Dexter Daze Booth during the festival. Orders cannot be returned to exchanged. Thank you! PRODUCTS WILL NOT BE SHIPPED. Check out will ask for shipping information, but products will be available for pick up on August 3rd at the Friday night Summer Series or at the Dexter Daze booth during the festival!